APRIL 2019 • FREE Live Double Album with every PANIC ROOM 'SCREENS: Live In London' Deluxe Edition DVD order received in APRIL! The CD features all 22 songs from the concert - over 2 hours of music on 2 discs! (The album will be automatically added to your order & posted out with your DVD . MARCH 2018 • PANIC ROOM Announce Special Show at ST HELENS CITADEL!!! N O W O N S A L E !!! ​Do you miss seeing PANIC ROOM Live? Do you need a fix of your favourite musicians live on stage??! We are excited to announce that Anne-Marie, Jonathan and Gavin of PANIC ROOM will be playing a very special one-off show at The Citadel, St Helens on 14th June 2019!!! 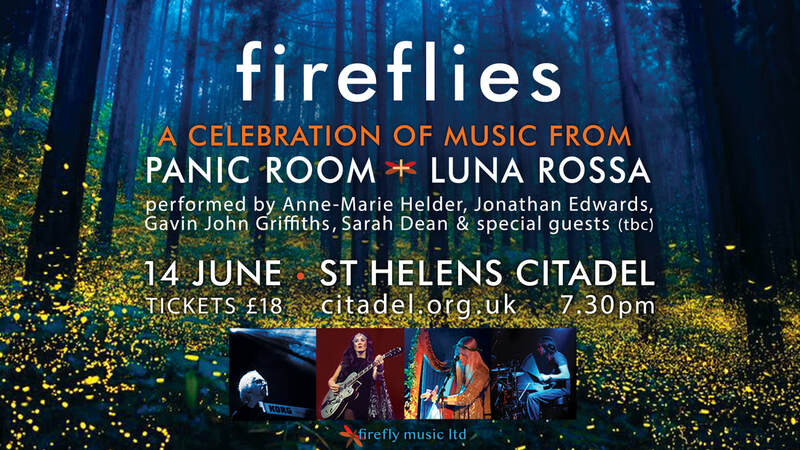 ​This concert will also say 'Thank You' and honour the legacy of The Citadel, one of our favourite UK venues, before it sadly has to close its doors this Summer. It will be a night to remember, featuring many of the best songs by both PANIC ROOM and Luna Rossa. The setlist is still being confirmed, but you can be sure that this will be a night of stunning music, delivered with huge passion, joy and and heart by your favourite musicians! ...We look forward to seeing as many of you there as possible! NB: This is likely to be your only chance to see the music of PANIC ROOM performed Live by the band in 2019; they will be spending most of this year in the studio, writing & making preparations for their 6th studio album, due for release in 2020! FEB 2019 • FREE LUNA ROSSA album with every PANIC ROOM CD or DVD order received in FEBRUARY! ​If you've not yet explored the subtle delights of Anne-Marie & Jon's LUNA ROSSA project, and still have any gaps left in your PANIC ROOM music collection, now's the chance to solve both of those problems in one go! ​Throughout the month of FEBRUARY, everyone ordering any PANIC ROOM CD or DVD (excluding the 'Altitude' EP) will receive a free copy of 'Sleeping Pills & Lullabies', the debut album from LUNA ROSSA! (The album will be automatically added to your order & posted out with whichever PANIC ROOM CD or DVD you order. LUNA ROSSA's gorgeous interpretation of The Magnetic Fields song 'The Book Of Love'*. (*A track which was also given the full orchestral treatment by Peter Gabriel on his 'Scratch My Back' covers album). OCT 2018 • FREE Promotional Postcards with Every CD Order!!! So, for a limited period, any orders we receive for PANIC ROOM or LUNA ROSSA albums will get a couple of art postcards thrown in for free! "It is with heavy hearts that we have to make this announcement today..."
​on our official Press Release page. JUNE 2018 • PANIC ROOM re-release their iconic 2012 album 'S K I N' . . . in new Extended Edition!!! 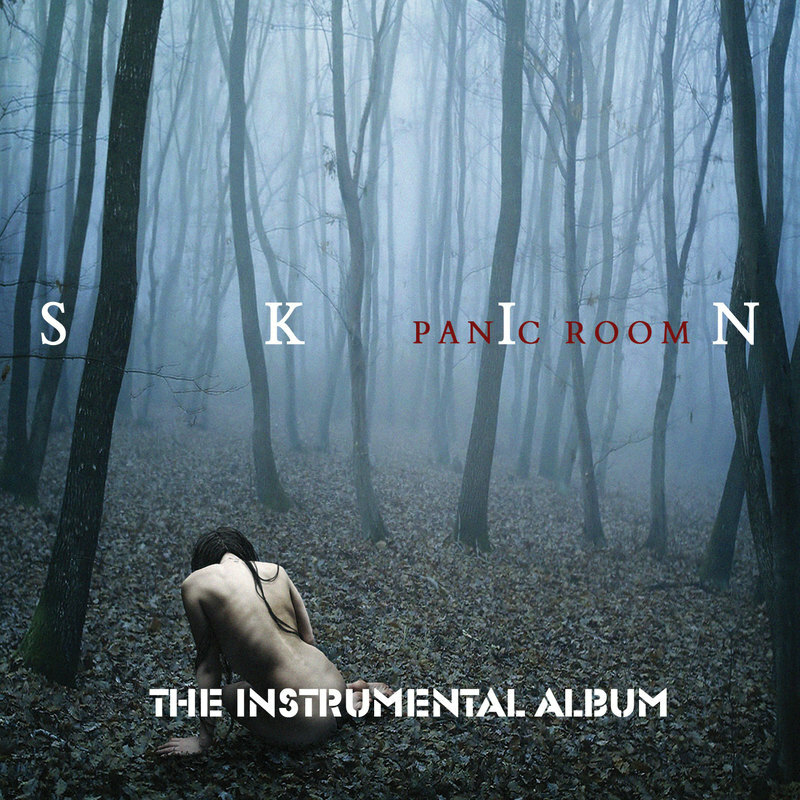 PANIC ROOM are pleased to announce the reissue of their Award-Winning 3rd album - ‘SKIN’ - in a very special Extended Edition which will include over 15 minutes of previously unreleased music. The album was originally released in 2012 as the band's first release on the Esoteric Antenna label, part of Cherry Red Records. It includes 'Song For Tomorrow' - the track which was nominated for 'Anthem of the Year' the Progressive Music Awards - and many more fan favourites including title track 'Skin', ‘Chameleon’, and ‘Tightrope Walking’. For this CD re-release on their own Firefly Music label, PANIC ROOM have gone back to the original session recordings... and the band have completed the mix on two additional tracks! - 'Supernova' and the 10-minute epic 'Reflection' were both recorded at the ‘SKIN’ studio sessions, but not included on the original release. This gorgeous acoustic guitar and percussion-driven track is five and a half minutes of dreamy, summery goodness... with some fabulously flirty flute lines from Anne-Marie. It evokes images of star crossed lovers at a moonlit gathering, trying to keep their distance before the attraction proves too strong. ​Anne-Marie’s light as a feather ‘Astrud Gilberto’ harmony vocals are the icing on this musical cake, which, with it's slinky rhodes runs and groovy bass lines, is a perfect example of PANIC ROOM’s lighter and more quirky acoustic side! In stark contrast ‘Reflection’ is a dark reverie on age, renewal and the passing of time... A powerful ten minute epic, fit to sit alongside previous PANIC ROOM classics such as ‘Satellite’, ‘Nocturnal’ and ‘Dust’. The song gradually builds from sparce beginnings to a dramatic climax. Starting with simple minor piano chords. the string quartet bring their own deep colours to the music while added emotion and texture from ebow guitar and organ emerge to lift the song further and shimmering 12 string chords herald the uplifting yet bittersweet choruses. An extended final section introduces Moog arpeggios to the mix and features Anne-Marie on the flute, as well as electric guitar lines from original guitarist, Paul Davies. ​A rich collection of lush harmonies from Anne-Marie bring the song to its final crescendo. MARCH 2018 • PANIC ROOM to play European Shows in May 2018! 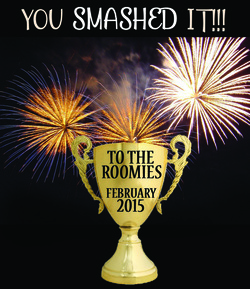 Huge Thanks to everyone who voted for us, in each category! ​It’s the best possible confimation that everyone out there is loving the concert film, and that all of our hard work together - the band AND fans - has been well worth it!!! the band and its members have featured in the PROG READERS POLLS an amazing 22 times! two of which were the No.1 position! Read the full listings in the new issue of PROG Magazine - out now! NOVEMBER 2017 • FIRST PRESS REVIEWS of the new PANIC ROOM LIVE DVD! The first press reviews of 'SCREENS : Live In London’ are now hitting the shelves - and the web - and we’re delighted to say that they are all fantastic! Live sound recordings don’t get much better." The GRTR site also features an early audio interview with Jonathan Edwards (PANIC ROOM’s keyboard player & songwriter) from back in 2008, which was recorded just after the release of PANIC ROOM's debut album: 'Visionary Position'. PANIC ROOM are currently a Featured Artist on GET READY TO ROCK RADIO. AUGUST 2017 • PANIC ROOM - FIRST 3 STUDIO ALBUMS NOW AVAILABLE AS DOWNLOADS! PANIC ROOM's first 3 albums are now available to buy as Digital Downloads from the band's BANDCAMP site!!! Enjoy the albums in their original, highest-quality audio mix, straight from the mixing desk to your device! folk & world music elements, with an inventive spirit and multi-layered soundscapes. this was the defining album which established PANIC ROOM's reputation. ‘SKIN’ marked a maturing of the band's sound, and features many fan-favourite songs. DOWNLOAD THE ALBUMS FROM BANDCAMP NOW! 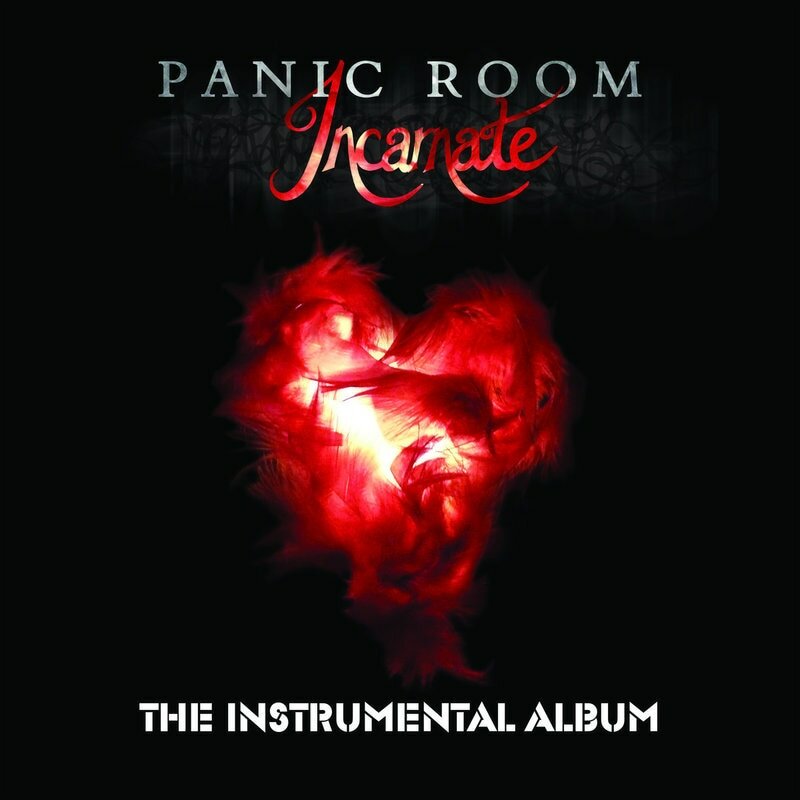 Brand new instrumental mixes of PANIC ROOM's 2nd, 3rd & 4th albums are now available as full Digital Download albums, complete with bonus tracks. Intended as companion releases to the original albums, these new mixes allow the nuances and layers in the music to shine through, and the backing vocal and string arrangements to be heard in all of their glory. JANUARY 2017 • PANIC ROOM OPEN FOR MARILLION @ DUTCH WEEKEND!!! We're thrilled to announce that PANIC ROOM will be performing at this year’s Dutch Marillion Weekend!!! ​The band have been invited to open this legendary festival on Friday 24th March, just before Marillion take to the stage to play their 1st headline show of the Weekend! 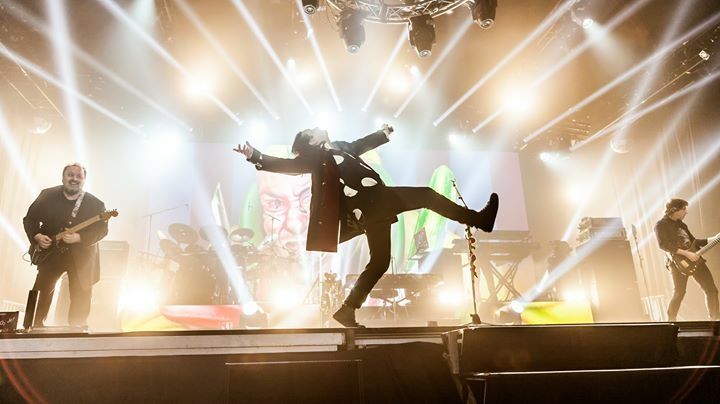 ​The event runs from 23 - 27th March 2017, and is one of 4 Marillion Weekends to take place around the world this year. DECEMBER 2016 • THANK YOU for 2016!!! & It was a huge joy to be there with you all, to to share such a fizzing, vibrant atmosphere! The sound & lighting were fantastic - thanks to Shaun, Matt & all at the Robin for their brilliant work! The band also loved taking you all on a journey through their newly re-jigged setlist - designed to deliver a rockin’ party vibe! feeling newly liberated, in the absence of a professional film crew recording their every move!! ✯ We’ll be posting an update about how the Live DVD is progressing later this week - keep your eyes open! And that the band’s music and shows can become a little part of the story of your life, always bringing back happy memories when you revisit them! OCTOBER 2016 • THE LIVE DVD FILMING in LONDON!!! And the whole show was filmed for a brand new Live DVD! PANIC ROOM will be in the studio this Autumn putting all the footage and audio together to create a truly breathtaking concert film. So - Watch This Space!!!! OCTOBER 2016 • PANIC ROOM - Live @ The Fleece - OFFICIAL BOOTLEG Now Available! ​We are very excited to announce the general release of our Official BRISTOL BOOTLEG! Available exclusively from the PANIC ROOM Bandcamp Store, this raw & powerful gig was recorded on 23rd June 2016 when PANIC ROOM played their headline show at The Fleece in Bristol. So it was history in the making, in more ways that one! 'The Bristol Bootleg' is a raw, unedited audio recording, which captures the sheer energy and power of PANIC ROOM Live. It's a stereo mix, in 2 long sets; and the audio was taken direct-from-the-sound-desk, with no overdubs / editing / post-production whatsoever. NB. These recordings were only previously available as a free download, as a 'Thank You' to everyone who bought tickets for the June & October Islington Assembly Hall concerts. But due to hundreds of requests from fans who couldn't attend these shows, we have decided to make the recordings availble to all! SEPTEMBER 2016 • ANNE-MARIE HELDER - SOLO LIVE EP now available on CD! Anne-Marie's SOLO LIVE EP - released in 2016 - is now available for the first time on CD!!! in front of an audience of 2,500.
by Panic Room's lead vocalist and songwriter. Get your copy while stocks last, at the bargain price of £5 - or £6 for a copy signed by Anne-Marie!!! AUGUST 2016 •​ DVD PLEDGE CAMPAIGN REACHES 100%! NEW LONDON FILMING DATE - TICKETS ON SALE NOW - + FREE DOWNLOAD with Every Ticket! PANIC ROOM are delighted to announce that our PledgeMusic Campaign to raise funds for the Live DVD has reached 100%!!! (NB. This will be an early show, with doors at 5pm + band on stage at 6pm. ...And we need all of YOU there to give it the most amazing buzz!!! Your energy will inspire the band to play the best gig of their career..
And your combined energy and excitement will be captured on film, to show just what a great audience can bring to a live concert! So please - put this date in your diary now, and come along to be part of PANIC ROOM history in the making. PLUS : We have a special gift for everyone buying a ticket for the October gig! FREE DOWNLOAD WHEN YOU BUY YOUR LONDON TICKET!!! As a special *THANK YOU* to everyone who buys a ticket for this October show, we're excited to offer you a fantastic FREE GIFT!!! When you order your ticket from here at the PANIC ROOM Website, you will receive a copy of a fantastic new 'Official Bootleg’ recording from the 2016 'START THE SOUND' Tour! But it was also momentous for other reasons! And fortunately, it was also recorded directly from the sound-desk! ​What we have for you is the ‘BRISTOL BOOTLEG’ - a Live recording of the excellent 2nd set of this June 23rd show, capturing the band truly on fire! A stereo mix, direct from the sound-desk, which captures the raw spirit of the band. This audio recording is Live, with no overdubs or editing - so what you will hear is exactly what we played on the night! 11-track Live Momento of our 'Start The Sound’ Tour! PLUS - FREE GIFT FOR ALL WHO CAME TO THE LONDON SHOW on JUNE 18th!!! We also want to say a huge *Thank You* to everyone who bought tickets for PANIC ROOM's original June gig at Islington Assembly Hall! So - as promised - we have an exclusive Free Gift for all of you too !!! We'll be getting in touch with each of you shortly, with an exclusive Download Code for the whole of SET 1 from the Bristol Fleece Bootleg Recording!!! JULY 2016 •​ PANIC ROOM - NEW LYRIC T-SHIRTS Now Available! We've just added some awesome NEW T-SHIRT DESIGNS to the PANIC ROOM Spreadshirt shop which we think you'll love! The band have chosen a poignant lyric from each album, and we've added these to a simple T design along with the iconic PANIC ROOM logo. There are 4 designs, and each is available on a classic T-shirt (mens / ladies) or sleeveless T, and in a variety of groovy colours! and the shirt will be printed up exclusively for you! The Deluxe Limited 2 Disc edition has previously only been available as part of the Kickstarter campaign and is a strictly limited edition but the band have decided to make the remainder of the original pressing available generally there are only 700 copies remaining and once these are sold this edition will be deleted so this is a unique opportunity to get your hands on a piece of PANIC ROOM history! NB. SPECIAL OFFER: For a limited period until 31st July anyone who bought the standard single disc version of 'Essence' from the website shop or through the Kickstarter campaign can upgrade to the Deluxe Limited 2 Disc version for the reduced price of £10 (plus p&p)... Email us at sales@panicroom.org.uk and we'll email you a special code to use when ordering the Deluxe edition to get a £10 discount. PANIC ROOM have been booked to appear at the 'OFF THE TRACKS FESTIVAL' which runs from Friday 2nd - Sunday 4th September. 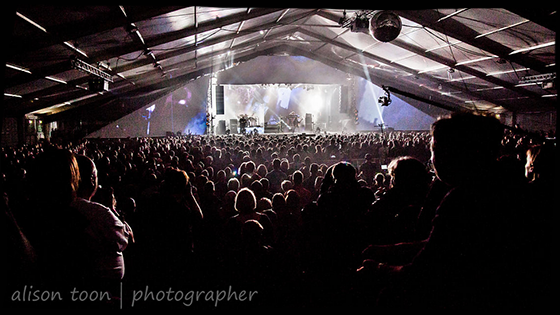 The band will be appearing on the main Marquee Stage at a prime 6:45pm slot on Saturday, 3rd September. RATED AS A TOP 'SMALL IS BEAUTIFUL' FESTIVAL BY .THE SUNDAY TIMES - Off The Tracks is a great family friendly festival with real ale and wonderful food, children's activities and of course amazing music across 4 stages. Other artists confirmed include Hugh Cornwall, Treacherous Orchestra, Neville Staples & Ozric Tentacles. Tickets are available now from the OFF THE TRACKS website. Unfortunately we have had to take the tough decision NOT to film this London show, due to not reaching the PledgeMusic Campaign Target in time. BUT we have extended the deadline for the Campaign, and hope to book a brand new show to film the DVD in the Autumn (September / October 2016). We have contacted all ticket-holders by email to ​explain more about this decision, and also to offer an exclusive gift, which is unique to all Islington ticket-holders! The PANIC ROOM Live DVD PLEDGEMUSIC Campaign has reached 66% of it's £25,000 goal! This is an amazing achievement in it's own right and we're really grateful to all of the fans who've already pledged towards the making of our first LIVE DVD to be filmed at Islington Academy on Saturday, 18th June. However, we really need to reach our target by June 10th so that we can be sure that we can afford to pay for the film company to hire the equipment and camera operators that will be need to record this very special concert. So if you're thinking of pledging but have been hanging back until the date of the gig or even thinking about pledging afterwards, we really need you to pledge now so that we can make it happen! If we don't hit our target the concert will still go ahead and we'll be playing a storming set of songs across our 5 album career to date... BUT unfortunately we won't be able to film it. YOU CAN BUY TICKETS FOR THE ISLINGTON CONCERT HERE! MAY 2016 PANIC ROOM WEEKEND - THE VERDICT! Well... what can weI say... thanks so much to everyone who made the PANIC ROOM Weekend at the Robin 2 such a success! To the bands and musicians who entertained everyone over the 2 days... Alex Cromarty... Pete Harwood & Si Wright in their Morpheus Rising acoustic guise... Shadow Of The Sun... Halo Blind... Sarah Dean... Dave Foster & his band including the rather wonderful Dinet Poortman & Leon Parr... Kiama and of course my wonderful band mates, Anne-Marie Helder, Gavin Griffiths, Yatim Halimi and Dave Foster for their hard work, musicianship and creativity playing with Panic Room, Luna Rossa & The Dave Foster Band. But the biggest thanks of all is to all of you who turned out to see 2 days of live music and made our 1st Panic Room weekend such an enjoyable and amazing event! Your support of our music is very special and we never take it for granted...It's really a privelege to play for you all! MAY 2016 PANIC ROOM WEEKEND - THE FINAL LINE-UP + TIMES!!! This epic 2-Day Festival is being hosted by PANIC ROOM, and is the 1st full Weekend Event we have ever staged! ​It takes place at The Robin 2 in Bilston - annually voted one of the best & most popular venues in the UK, and a ‘second home’ to PANIC ROOM who have enjoyed countless amazing shows there over the years! The band have personally invited all of the following Guest Artists to perform, and we are thrilled with the Line-Up! and acoustic artists - in the UK today, so that this promises to be an absolutely breathtaking weekend of live music. ​We can’t wait!!! & We know YOU can’t either. 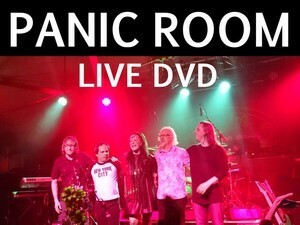 APRIL 2016 PANIC ROOM LIVE DVD - PLEDGE CAMPAIGN LAUNCHES!!! ​PANIC ROOM are excited to announce the launch of our PLEDGEMUSIC Campaign to film our very 1st LIVE DVD this June @ Islington Assembly Hall. and we've finally caved in to the pressure! The gig will take place on Saturday 18th June at the Islington Assembly Hall - a spectacular Grade ll Listed, Art Deco building which we know will be the perfect backdrop in which to film this ultimate PANIC ROOM concert. ​The band have teamed up with TOWARD INFINITY - one of the best live concert film makers in the UK - to capture the full essence of a live PANIC ROOM show... The power, the passion, the fire, and the beauty. The company have a superb international reputation - having worked with Marillion on all their live DVDs, as well as winning awards for their film of the Jon Lord Tribute Concert at the Royal Albert Hall - and we're truly excited to be working with this great and professional team. ​We intend to work hard together to create a stunning Live DVD that we know you're going to love watching... Again and again! As you can imagine, putting together an event and producing a film at this level doesn't come cheap... You really do get what you pay for. to enable us to make this an incredible and professional Live Concert Film. - A stunning final product that we know YOU - and the band - truly deserve!!! ​We’ve even created a superb Collectors' Edition that will feature a wealth of bonus content, an Audio CD of highlights from the show, and a 32-page Colour Booklet full of images and words.... All signed by the band, and featuring your name as a valued contributor in the credits!!! We also have some awesome Bundles available, so that you can Mix & Match what you want to pledge for. We're extremely excited to be finally be doing this... So we hope you will be just as excited, and join in the Campaign to HELP US MAKE THIS DVD HAPPEN!!! ...AND PLEDGE TOWARDS THE CAMPAIGN HERE!!! If we don't raise our £25,000 Target before the London show, then the DVD will not be made - and no money will be deducted from your account. 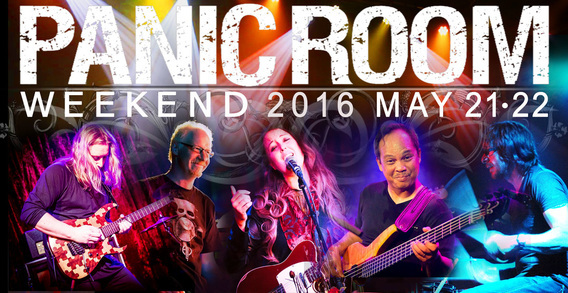 FEB 2016 THE PANIC ROOM WEEKEND - 21-22 MAY 2016 - MORE DETAILS ANNOUNCED!!! 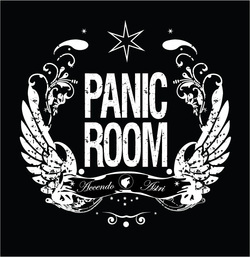 ​We are extremely excited to be able to announce more details for you about the PANIC ROOM WEEKEND in May 2016! ​The very first event of its kind, PANIC ROOM will be taking over the Robin 2 in Bilston (Midlands, UK) for 2 whole days... to bring you an amazing mini-festival of Live Music, festivities and fun! PANIC ROOM will play a full (and completely unique) headline show each night - with songs chosen from throughout their whole back-catalogue. There will also be 'mini-gigs' throughout each day by a wealth of excellent guest bands & artists, who have been personally invited by PANIC ROOM to play at this event! 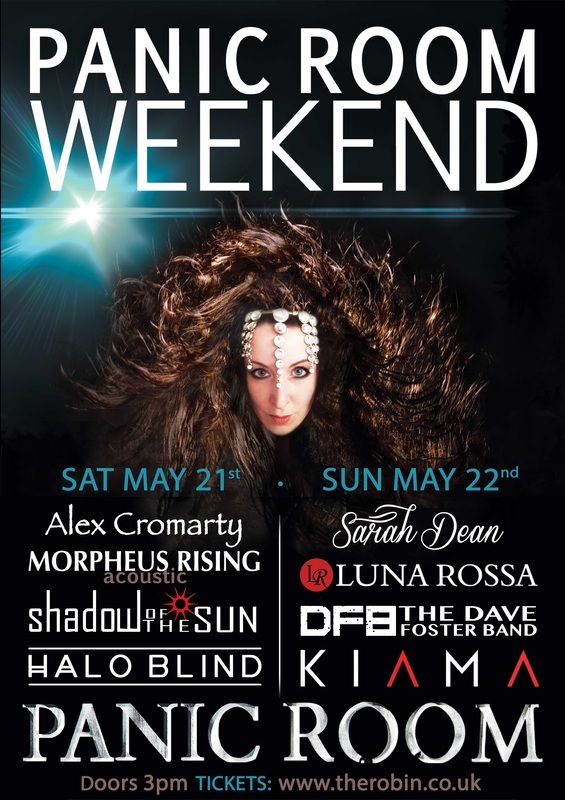 HALO BLIND, The DAVE FOSTER BAND, and LUNA ROSSA! Find out more about the event and guest artists HERE! JAN 2016 NEW TOUR DATES ANNOUNCED - 'START THE SOUND' 2016!!! ​This will be a full electric show, packed full of the band's most incredible & dynamic music from across 5 albums. ​- After devoting most of 2015 to their 2-set acoustic-electric shows, the band can't wait to kick up the volume! including the first ever PANIC ROOM WEEKEND on May 21-22nd. This will be a 2-day celebration of all things PANIC ROOM, featuring 2 full headline shows by the band, exclusive sets by guest artists, and special fan events. ​'START THE SOUND' will include 12 stunning Live shows, & will be the band's ONLY tour dates in the UK this year. ​After the summer, PANIC ROOM will enter the studio to begin writing & recording their next full studio album. There's a great 5-star review of 'Essence' in the January / February issue of R2 magazine - out now, review by Oz Hardwick. "The band do a brilliant job throughout of avoiding the obvious... An excellent production job giving the record the substantial sonic presence the arrangements deserve, and showing the band in an entirely new light." Plus reviews of all the latest rock, blues, folk, world & singer/songwriter releases... and a 17 track covermount CD. NOV 2015 'EXPLOSIVE' NEW REVIEW OF 'ESSENCE'! "Beautiful... Explosive... Mischievous.... Inspired... Irresistible. An essential purchase for those who already appreciate the band, and for those yet to explore their many delights, Essence is the perfect starting point." 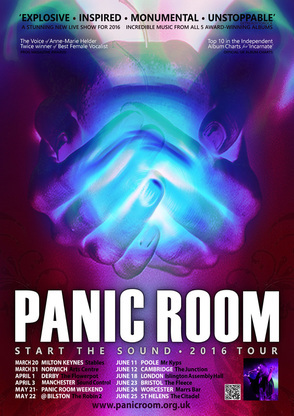 ​PANIC ROOM begin their Autumn Tour dates on 4th October, playing at The Borderline in LONDON!…. This fantastic show will kick off the band’s October leg of the ‘Wildfire’ Tour, with gigs continuing through the month and spanning the full length of the UK. plus debut material from the new album ‘ESSENCE’ !!! ​before this year speeds by! ​and it’s looking like another hit for the band! 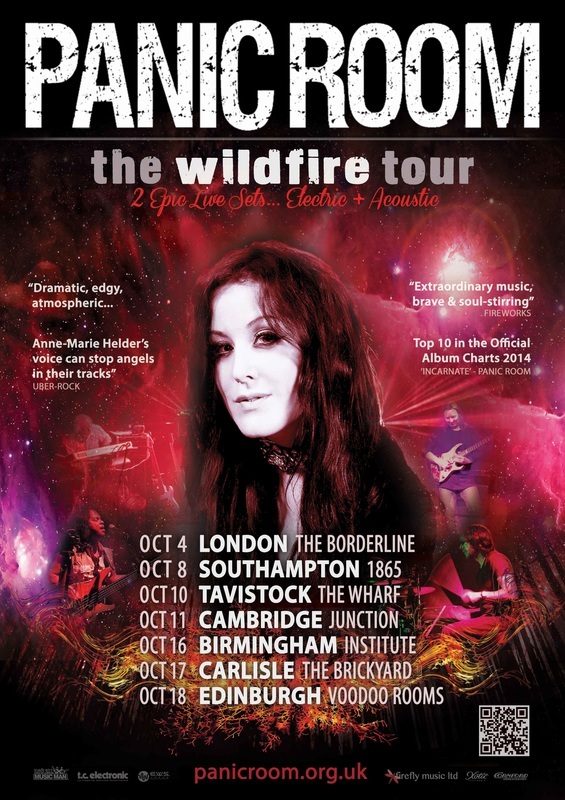 ​Essence really does sound beautiful"
PANIC ROOM will be hitting the road again this October, with extra UK shows added to continue the success of their epic ‘WILDFIRE’ TOUR!!! The double-set format (acoustic + electric set) was such a huge hit in May 2015, we have now booked an extra run of Tour Dates for October. 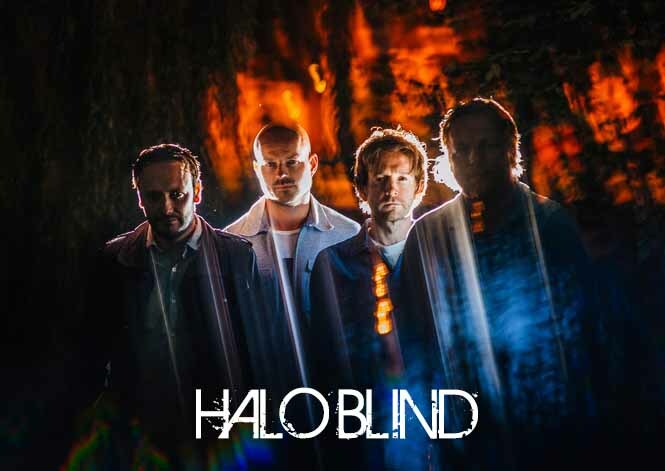 ​These include many new venues, and bring the band to areas you have all been requesting - including SCOTLAND, the SOUTH COAST (Southampton) and Devon in the SOUTH-WEST!!! The band have also written and recorded 2 fantastic new songs* for this album, as a special ‘Thank You’ to the fans… all of those who made this album possible through their amazing support for the Kickstarter campaign! ‘Essence’ will also showcase the wonderful lead guitar work of Dave Foster, captured on his debut recording with PANIC ROOM. We can't wait for you to hear them! You can expect the usual high level of musicianship from the band, plus some wonderfully intimate vocal performances from Anne-Marie throughout... The 'icing' on the musical cake! This album will also be the first to feature our new lead guitarist Dave Foster, who plays 6 & 12 string acoustic guitars throughout; as well as contributing some awesome electric solos! Dave was involved from the genesis of the project, working with the band to arrange the songs for this very special album. Instead, we've let the creativity flow and have worked hard to *reimagine* all of the songs in a totally new and fresh way. The resulting album - which includes 2 brand new songs written exclusively for this project - is a fantastic and exhilarating ride, with surprises and delights at every turn. It’s been a hugely positive and inspiring experience for us as a band, and feels like the dawning of an exciting new chapter! so *Thank You* once again to everyone who has contributed to our Kickstarter Campaign, and made this album possible! Any of you who missed out on the Campaign? PANIC ROOM have completed the recording/mixing sessions for the new Kickstarter funded acoustic album at SONIC ONE in South Wales - the first recordings to feature our new lead guitarist, Dave Foster. We'll be back in the studio in early August to complete the video editing for the Deluxe CD/DVD Edition - and will be revealing the album title, track list, cover artwork and soundclips with you very soon! An allegorical tale, set in an alternative world where coal factories belch black fog over the land and the hot air balloon is the only form of long range transport. MAY 2015 PANIC ROOM PROUDLY CONFIRM DAVE FOSTER as NEW LEAD GUITARIST + BAND MEMBER! PANIC ROOM are delighted to confirm that Dave Foster - the highly-regarded lead guitarist who worked with the band on their latest ‘Wildfire' Tour - will now be joining as a full-time band member! This decision comes after a hugely successful UK Tour, where Foster made his stunning live debut with the band…. And also the recording sessions in the Spring, where the group worked together to create the forthcoming PANIC ROOM Acoustic Album. “We started working with Dave at the start of the year, and he took on the immense challenge of learning all of our 4 album back-catalogue! We were keen to move into a new chapter, and we had such a positive feeling about working with Dave - fortunately, he was just as excited about working with us! “Then as soon as we started to jam together, it was immediately obvious to everyone - wow, this Works! It felt totally right, and everything just *clicked*. We threw Dave into the deep end a bit, bless him - he'd learnt all of the electric albums, & then the first thing we made him work on was an Acoustic Album! “But Dave is a rare and gifted creature - he shines just as brightly on the acoustic guitar as the electric, and he can genuinely turn his hand to any style or genre…. Which is perfect for our quirky choices as a band! And he brought a brand new light and energy to everything we played, right from the start. We knew how special the connection was, and how rare - as with any relationships in life, you just ‘know’. and then the band will begin work on a 5th Studio Album (electric) later this year. ​from all four of the the band's studio albums to date. This stunning design has been professionally printed on best-quality Gildan T-Shirts (100% cotton). ​and these are now on sale in the website shop. ​So order yours now to avoid disappointment! PANIC R﻿OO﻿M Launch KICKSTARTER Campaign… and smash their target in just 2 days! PANIC ROOM have just launched their first-ever KICKSTARTER Campaign! With an initial target of £8,000 - to fund the creation of a special Acoustic Album - the band hoped to achieve this goal by 22nd March 2015. But, the amazing enthusiasm of the PANIC ROOM fans has blown us away - again! The project 'Kicked off' at 10pm on Friday 20th February, and there was immediately a huge rush of fans to the website… and an unprecedented number of pledges / orders over the whole weekend! In fact the response was so incredble that by Monday morning, we had already reached our £8,000 target! So it took our *Roomies* just 2 DAYS to make this Kickstarter project a massive success - and we cannot THANK YOU all enough!!! But reaching our 'Target' on Kickstarter doesn't mean that the project is now over - quite the opposite! Reaching our basic target means that the Album has now turned from a *hope* into an actual REALITY!! and you can order your album there until 22nd March (at 21:00 GMT) !!! From a basic CD / Download to the Deluxe Edition with bonus Studio DVD, or perhaps one of our exclusive Limited Edition Packages…. there is something for everyone! NB: But please order quickly - some items are Very Limited Edition! ​- the result of an interview with journalist Paul Sexton, in which they talked about the origins of Luna Rossa, and the making of new album 'Secrets & Lies'. The piece is accompanied by some excellent new photography of the duo, by Jason Parnell-Brookes. JANUARY 2015 New guitarist ﻿Dave﻿ Foster joins PANIC ROOM for 2015 album… and 'WILDFIRE' tour dates! PANIC ROOM are delighted to announce that they will be working with lead guitarist DAVE FOSTER throughout 2015, both in the studio and on Tour! Dave will also be part of the recording line-up when PANIC ROOM return to the studio later in the year, to create songs for the band's 5th studio album. 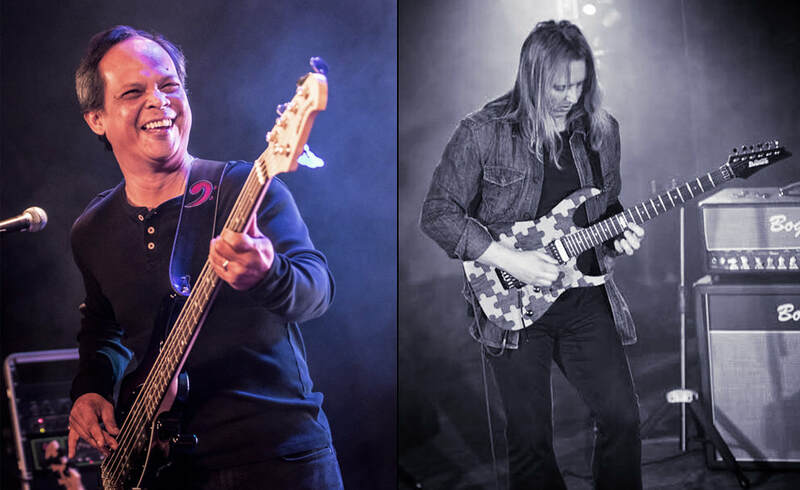 Having already recorded and gigged with PANIC ROOM bassist Yatim Halimi (as part of the Steve Rothery Band), it feels like Dave's already a part of the PANIC ROOM family! 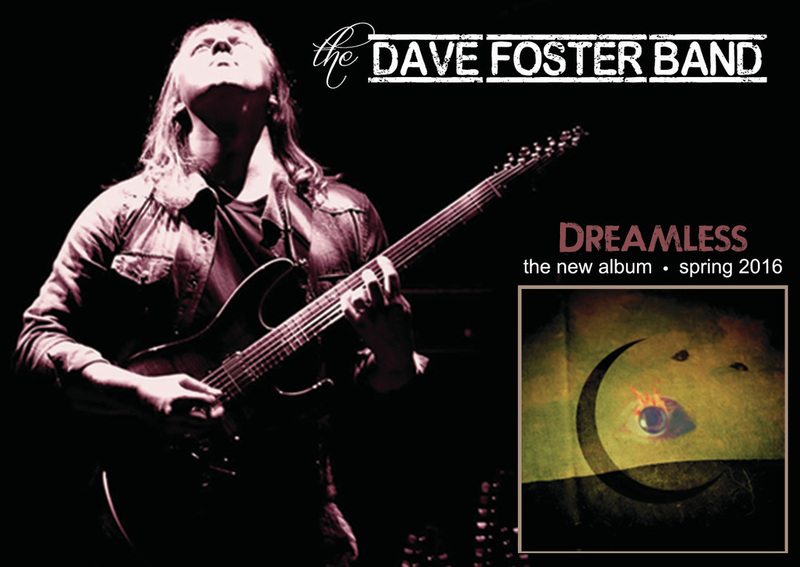 "Dave's a great musician, and amazing on both electric and acoustic guitar... Anyone who was lucky enough to catch the recent 'SRB' gigs will have seen and heard something of what he's capable of! In addition to his musical skills, he's a really nice guy - and we're truly excited to be working with him on this next stage of PANIC ROOM's musical evolution. We hope you'll all join us in making Dave feel really welcome!" It's SALE time in the PANIC ROOM Store…. and there are some amazing offers to be had! And even a couple of 2011 Tour T-shirts looking for a good home! ALL available at the super-low price of ﻿£5 each from the SHOP!!! ★ FREE 'ALTITUDE' EP w﻿ith﻿ any CD purchase! ★ FREE POST﻿AG﻿E for ALL UK CD ORDERS - JANUARY & FEBRUARY! Unfortunately due ﻿to﻿ the high cost of postage from the UK to overseas, we are unable to extend this offer outside the UK. Finally... We have an exclusive stash of signed 'INCARNATE' Tour Posters available to buy at the shop - a true collectors' item! So head over to the SHOP now & grab yourself a bargain!!! JANUARY 2015 Anne-Marie Helder - 'The Contact' - NOW AVAILABLE as a Digital Download!!! Anne-Marie's highly sought-after Debut solo release - 'The Contact' - is now available as a Digital Download! 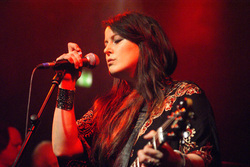 Recorded in 2004, the mini-album features 6 original Anne-Marie Helder songs, and was originally available as a physical CD - until stocks sold out. We've had many enquiries from people around the world who are eager to get hold of this release, so Anne-Marie has now decided to make 'The Contact' available again - as a high-quality digital download! ﻿﻿﻿EXTRA INFO:﻿﻿﻿ 'The Contact' includes the original versions of 'Blood Red Sky' and 'Exodus' - both songs which have featured as full-band arrangements by Panic Room on recent tours. and some of his personal favourite tracks from the new album. The title track of PANIC ROOM's new album - 'INCARNATE' - has been nominated for ANTHEM of the year in the 2014 Progressive Music Awards! sponsored by PROG magazine and ORANGE. 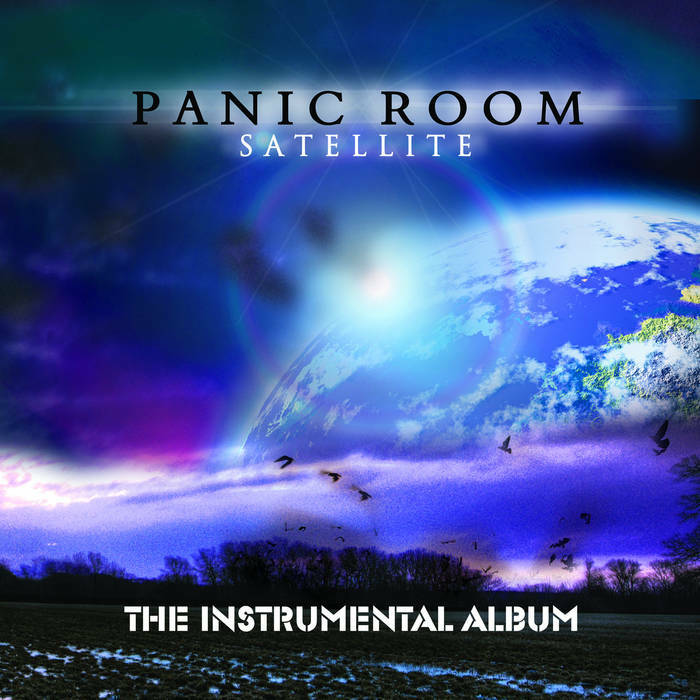 In 2010, PANIC ROOM released their stunning second album - 'SATELLITE'. Bold, powerful and passionate, 'Satellite' was seen by many as the band's 'defining' album, and won them many industry awards… as well as a legion of new fans. NOW - NEW FOR 2014 - 'Satellite' has been lovingly repackaged and re-issued, complete with new cover artwork! Released through Esoteric Antenna, the 2014 re-release of 'Satellite' is an extended 2-Disc Edition, and is now available worldwide! Order directly from Cherry Red Records, Amazon, and all good music retailers. NB: The Original 1st-Edition version of SATELLITE is still available at the PANIC ROOM shop!!! To celebrate the release of 'Incarnate' this year, we have some awesome new merchandise to share with you - all available on the Live Tour dates or direct from our Official Shop here!…. There are also badges, posters, art prints, mugs, stickers etc : all sharing this beautiful & eye-catching design. We have commissioned some Official PANIC ROOM Beanie hats too - in response to many requests from you our fans! - and these are fantastic quality black knitted hats with the band name embroidered on in silver-grey thread. An epic (and warming) addition to any music fan's wardrobe! On 22nd March 2014, PANIC ROOM's new album 'INCARNATE' hit no.10 in the UK's Official Independent Album Chart!!! Charting just one week after release, this is an incredible success for the band! We're very proud and excited to share this news with you, and we want to thank everyone out there who has bought 'Incarnate' and helped to spread the word about the new album, allowing us to achieve this fantastic chart position! placing with 'Incarnate', as it is released on our own label 'Firefly Music'. ★ See PROMO VIDEO HERE!!! Featuring ten breathtaking and original new tracks, INCARNATE sees Panic Room taking their trademark power and originality and running with it, to explore a whole new world of musical creation. From the rocking riffs of 'Velocity' to the bluesy yearning of 'All That We Are'… from the shimmering vamp of 'Waterfall' to the über-dark tour de force that is closing track 'Dust'…. This is PANIC ROOM taken to a whole new level. Bursting with new ideas, inspiration and influences, 'INCARNATE' shows a band who truly know their own sound and heart - but are always seeking to break new ground. Anne-Marie Helder's vocal performances are simply breathtaking throughout, and each track is brimming with the songwriting genius which fans have come to expect from Panic Room…. but there are new flavours and quirks in every corner, and guest guitarist Adam O'Sullivan adds an extra flourish of elegance and funky fluidity. With Gavin Griffiths and Yatim Halimi laying rock-solid foundations, and keyboard maestro Jon Edwards building his unique walls of sound around them, this is an album of masterful musicianship and magic. 'Incarnate' will hook you from its very first breath... and open up a new world of beauty, power, depth and imagination. As the title track says : "The sunrise is an omen.. of a truth we may find"
'Incarnate' is a journey from the darkest to the most euphoric of human emotions - all envisaged through the burning musical heart which Panic Room always wear on their sleeve.The songs within this new creation are seeking to explore many themes... New beginnings, new travels, love, obsession, loss and fear. And the sense that, even in our most broken moments, there is a bigger world outside which will humble us, and bring us back to inspiration.